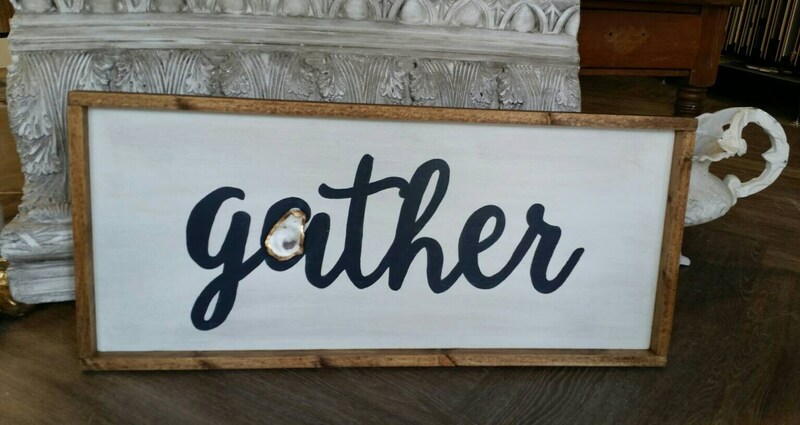 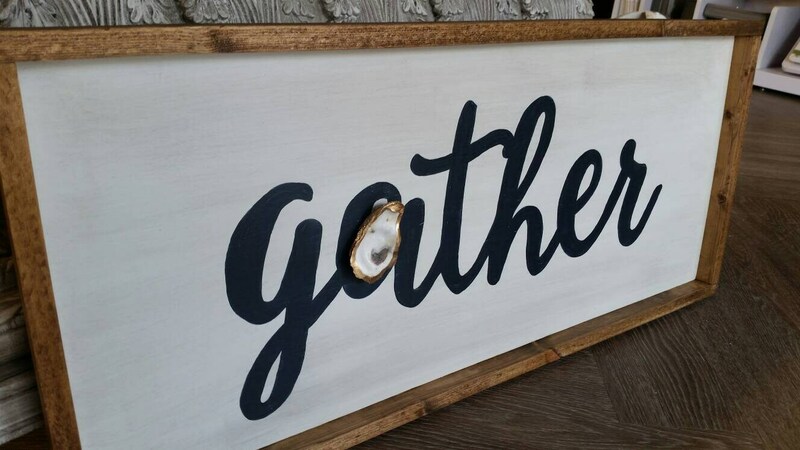 Hand painted wood Gather Sign the size is 36" long by 16" high includes the stained wood frame. 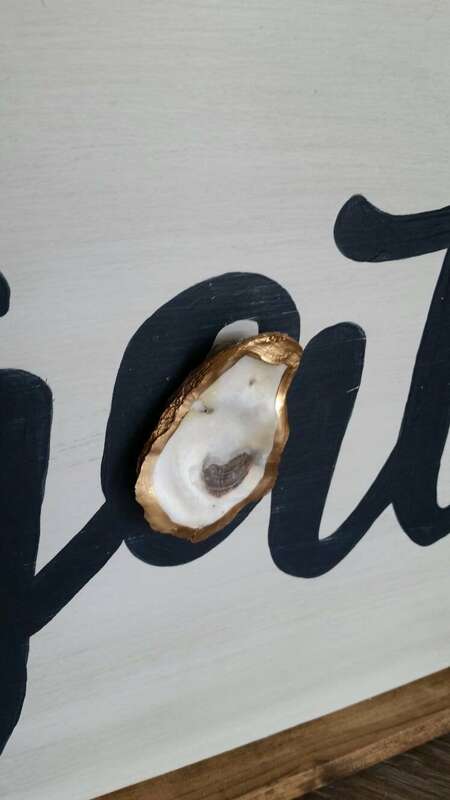 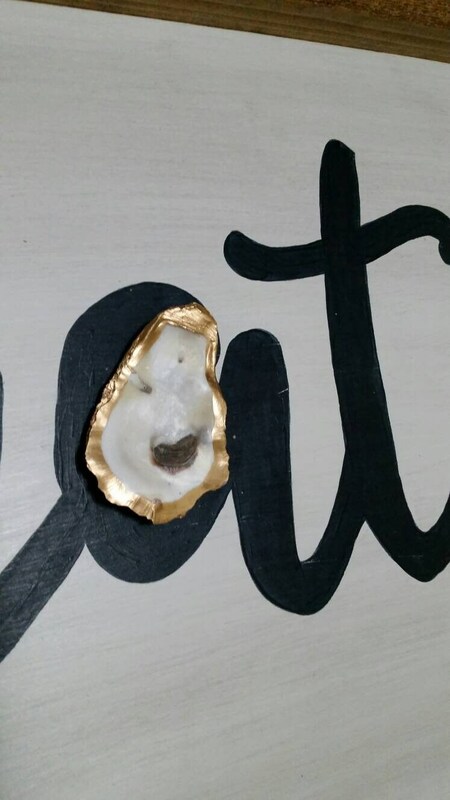 There is a gold leaf real oyster shell on the letter A also available without the oyster shell. 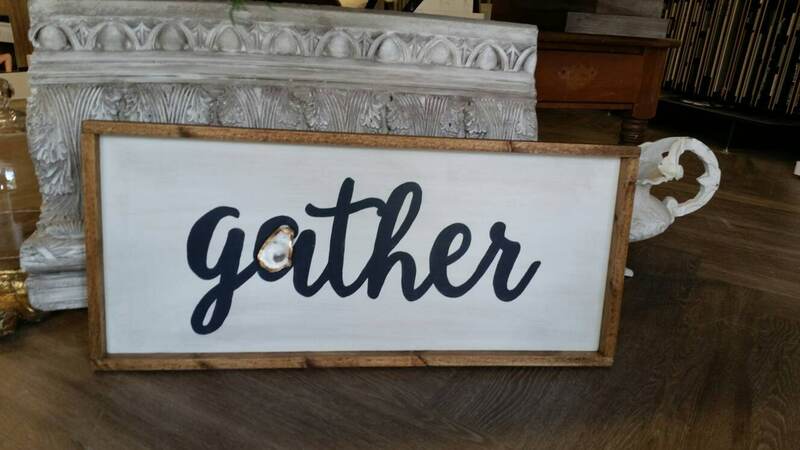 Each sign is unique in characteristics and may vary slightly from the example shown. 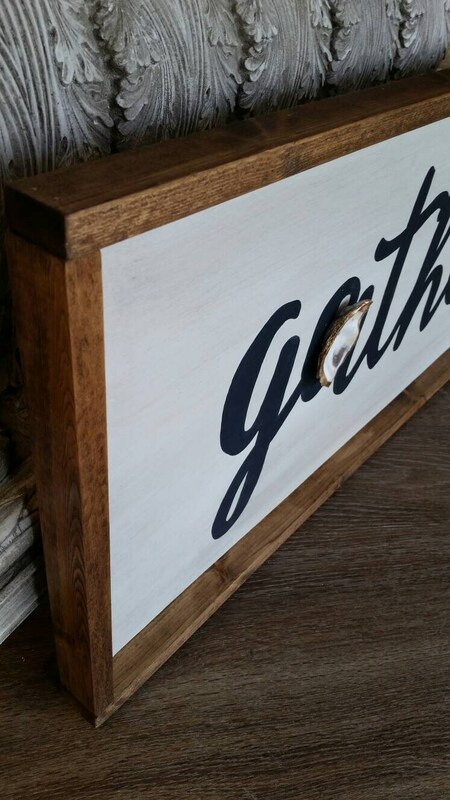 The sign comes with hardware installed on the back to may installation a breeze.